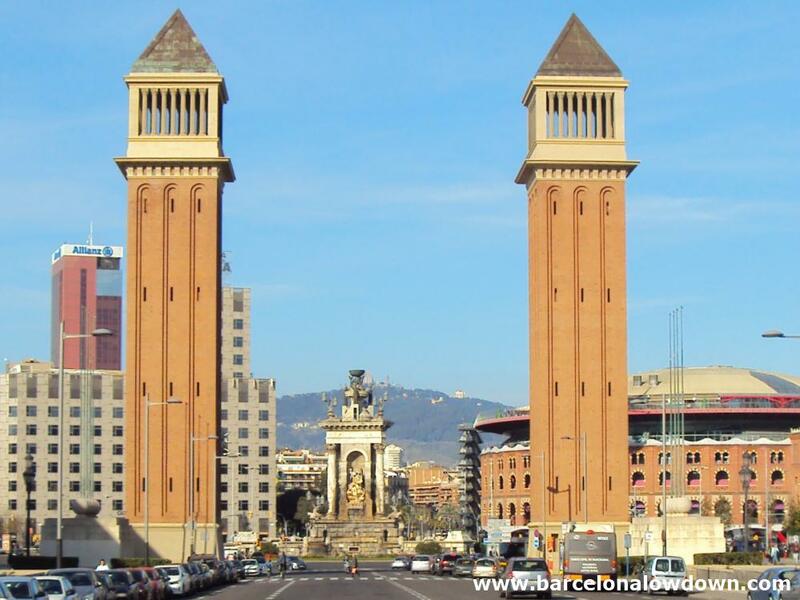 Plaça d’Espanya was built for the 1929 International Exhibition and was originally flanked by purpose-built hotels designed to house people visiting the exhibition. 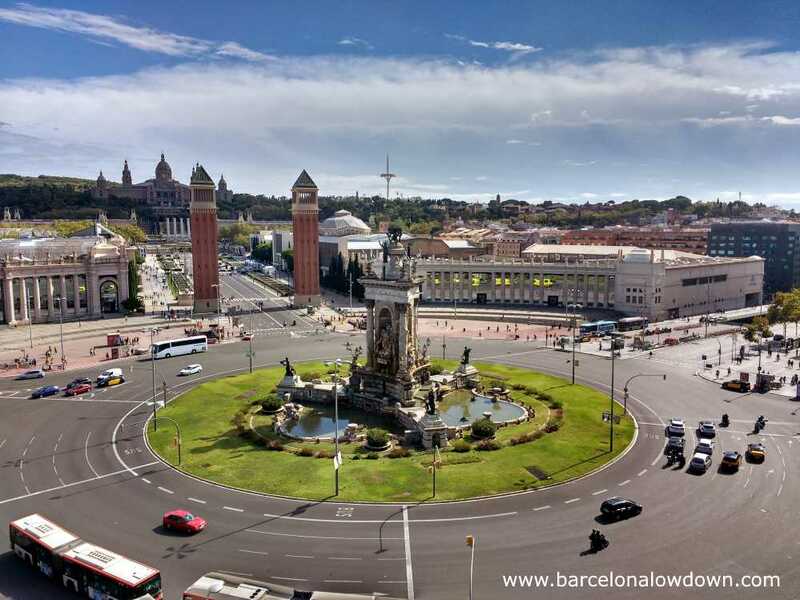 Only one of the hotels remains and nowadays the square is basically a large roundabout with an impressive fountain in the middle and magnificent views of the Palau Nacional and Montjuïc. The 33m high neoclassical fountain was designed by Josep Maria Jujol and represents Spain through references to the country’s 3 most important rivers; Ebro, Guadalquivir and Tajo. The sculptures which adorn the fountain include collaborations by Miquel Blay, Miquel & Llucià Osté and Frederic Llobet. The fountain is most impressive at night when it is floodlit. The two 47m high red-brick towers were designed by Ramon Reventos and inspired by the bell-tower of St Mark’s Basilica in Venice Italy. The towers are topped by large viewing galleries but unfortunately they are not currently open to the public. The Las Arenas bullring was constructed in 1900 to replace Barcelona’s older bullring which had become too small for the city’s growing population. In additions to bull fighting, other events such as concerts and sporting events were also staged there until the bullring closed in 1977. The building then stood unused and abandoned until 2000 when it was converted into a shopping centre which opened in 2011. The original building’s arabesque façade was restored and raised up on concrete and steel pillars. 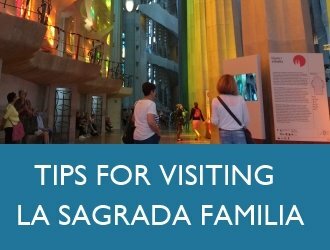 The structure is topped by a large dome and roof terrace which offers excellent views of Joan Miró Park, Plaça d’Espanya and Montjuïc. 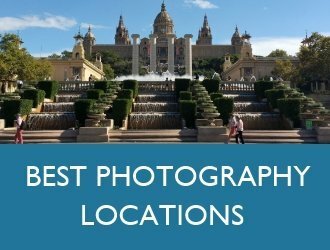 Plaça d’Espanya is a great starting point from which to visit the Palau Nacional, Magic Fountain, Poble Espanyol and other attractions on Montjuïc. 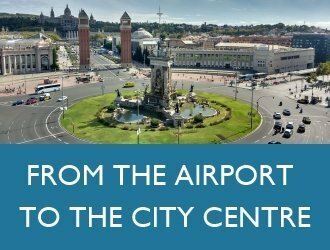 The plaza is connected to Montjuic by a wide avenue lined with fountains and flanked by the Fira de Barcelona which hosts international trade fairs throughout the year. 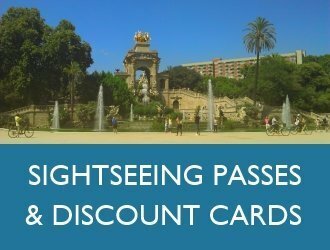 The view of the Palau Nacional and the Magic Fountain as you approach them from Plaça d’Espanya is one of Barcelona’s many not to be missed photo opportunities. You can also get great views from the roof terrace of Les Arenes shopping centre. To get there you can either take the outside lift (price €1) or use the escalators inside the shopping centre which are free of charge. 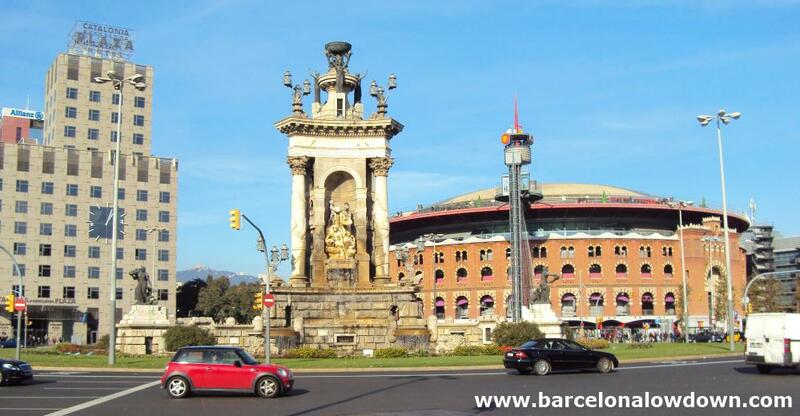 There is a train station and metro stop located underneath Plaça d’Espanya. 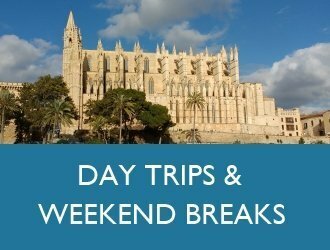 Note: the train to Montserrat leaves from Plaça d’Espanya and takes 1 hour. There are numerous bus routes which stop here including the Aerobus and several night bus routes.